Putting up 40 points, rising high for chase-down blocks, and sinking clutch game-winners in his 15th NBA season is truly extraordinary. The year 2007 seems like it was a lifetime ago. Maybe even more than a lifetime. Did they even have electricity back in those days? In 2007, George W. Bush was still the President of the United States and Donald Trump was a rich celebrity who had just shaved Vince McMahon’s head at WrestleMania 23. LeBron James was 22 years old in his fourth NBA season and was leading an undermanned Cavaliers squad through the Eastern Conference playoffs. James was always going to be the Next Big Thing in the NBA and showed flashes of his unique brilliance throughout the early stages of his career, but the 2007 Playoffs was where he announced his arrival in the history books. Even though the Cavs were swept by the Spurs in the Finals, just getting there was an impressive feat with James flanked by the likes of Larry Hughes, Sasha Pavlovic, and Daniel Gibson. 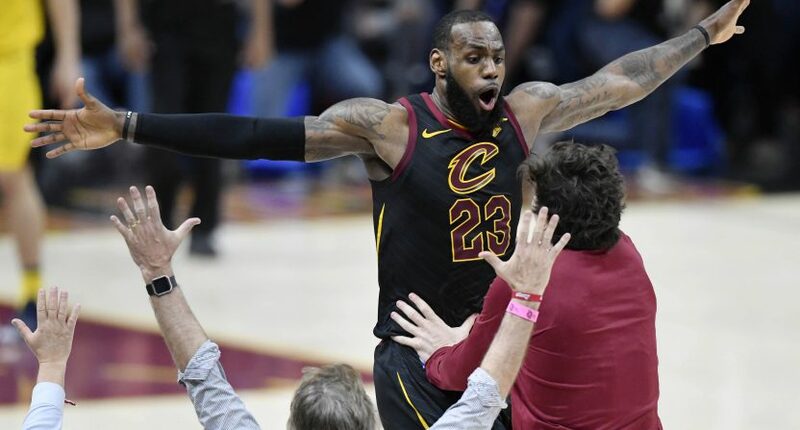 Anyone lucky enough to witness his epic Game 5 performance when he scored Cleveland’s final 25 points in a double overtime victory will always remember it. James and the NBA have both changed a lot in the 11 years since 2007. But at 33, one can’t help but feel as if the King has come full circle, needing to put his team, his franchise, and his city on his back once again to climb all the way to the top. James was at his best Wednesday night in the Cavs’ crucial Game 5 victory over the Indiana Pacers in the Eastern Conference first round. It was already a brilliant performance when he crossed the 40-point threshold early in the fourth quarter. But a game-saving block on Victor Oladipo and a game-winning buzzer beating three launched it into the pantheon of LeBron’s all-time great performances. King James finished with 44 points, 10 rebounds, eight assists, and even shot 15-for-15 from the free throw line in what sure was close to a must-win game on Wednesday night. It may not have been the 25 straight points to end that Pistons game so long ago, but James ended Game 5 against the Pacers by scoring the last seven points for the Cavs. The problem for Cleveland was that time period spanned the last 7:19 of the game. Early in the fourth quarter, it appeared as if the Cavs were cruising to victory with a double-digit lead. It appeared as if James was going to be on his way to one of the quietest and most routine 40+ point playoff games we’ve ever seen. But as the Cavs lead got smaller and smaller before ultimately disappearing, James’ teammates seemingly disappeared with it. James’ teammates were 0-4 from the field down the stretch. Kevin Love shot 2-for-11 from the field. J.R. Smith was 0-for-8. The midseason acquisitions of Larry Nance, Jordan Clarkson, and Rodney Hood added just 13 points combined. It’s been a long time since we’ve seen James in this position. In the 11 years since leading the Cavs to their first Finals appearance, James has won three titles, three Finals MVPs, and played with All-Stars like Dwyane Wade, Kyrie Irving, Chris Bosh, Ray Allen, and Kevin Love. Sure, there have been times where James has had to do it on his own. 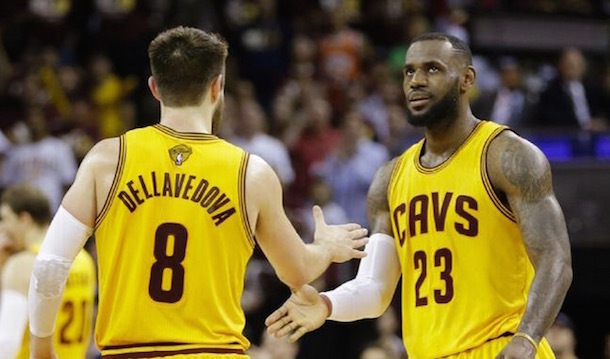 The 2015 Finals come to mind when Irving and Love were out injured and James put up a valiant 35/13/8 statline against the Warriors when his top running mate was Matthew Dellavedova. But given the palace intrigue in Cleveland this season, is it any wonder that James is in this position once again? First, there was Kyrie Irving’s shocking trade request and subsequent deal to the Celtics. Then it was the disappointment of The Isaiah Thomas Era and the trade deadline wheeling and dealing that should get its own 30 for 30 documentary. All of the drama has left James, in what could be his last year of his second stint in Cleveland, with his longest odds to make the Finals since he left Cleveland for Miami the first time around. James is playing with a makeshift roster that was put together in a complete panic, a coach who has recently had to step aside for health problems, and his one fellow All-Star is currently averaging 12 PPG in the series on 36% shooting from the field. And on top of everything else, the Cavs face an uphill battle to make the Finals again from the #4 seed in the Eastern Conference. Somehow, though, it makes what LeBron accomplished Wednesday night all the more impressive. James can retire tomorrow as one of the Top 5 NBA players in history and has nothing left to prove to anyone. Even more than the numbers and the titles and the endless comparisons to Michael Jordan is the way James has transformed and transcended the game. As an athlete and as a public figure, James breaks the mold. The fact that he’s putting up 40 points, rising high for chase-down blocks, and sinking clutch game-winners in his 15th season in the league is truly extraordinary. This is the time of his career when he should be leaning on younger stars and playing a supporting role for a title contender, not trying to replicate the heroics of his early 20s. And yet, James isn’t just duplicating his previous feats; he’s surpassing them. It’s entirely possible the Cavaliers may still fall short against the Pacers and bow out of the playoffs early. But at the same time, it’s probable that somehow and some way LeBron will lead the Cavs to the Finals once again by sheer willpower. It’s something only he could do alone. And it’s something we should all soak in, because we’ll never see the likes of LeBron James again.